Did you hear about this case? A man went into a dentist’s office, killed a woman, and took aim at others before being wounded by a concealed handgun permit holder. “He raised a gun to shoot me,” said dental hygienist Sabrina Steal. But unless you live in the very Eastern tip of Tennessee, there is no way that you would have heard this story from February. If the permit holder hadn’t been there and many people had been shot, the story would have surely made national headlines. We almost missed some of the more important details about this case ourselves. The Crime Prevention Research Center, where I am the president, searches for these cases, but once you find a case many times one must read through all the news stories because only one or two news stories might have crucial facts to understanding what happened. Indeed, our research assistant who found this case missed the news stories that contained details on multiple lives being saved. If people heard more stories like this one, they might get some sense of just how often lives are saved by defensive gun uses. Here's another one. Last fall, a masked man immediately opened fire as he entered a McDonald’s restaurant in Birmingham, Alabama. He had shot more than 15 rounds before a permit holder fatally shot him. Even in the extremely rare event that the national news media covers an attack which was stopped by a permit holder, that critical part of the story gets left out. Only the local news media got the story right when, last October, a concealed handgun permit holder stopped a racist attacker who was shooting blacks at a Kroger grocery store in Louisville, Kentucky. The local media in the Louisville area got the story right, yet somehow the national media, which relied on the local media for their own reporting, got the story completely backwards. 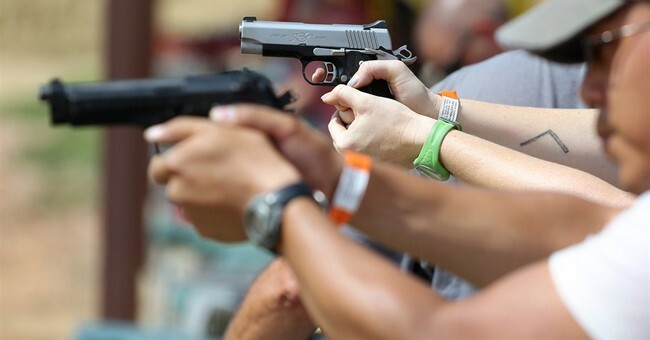 In recent years, many dozens more mass public shootings have been stopped by concealed handgun permit holders. But people don't hear enough about these acts of heroism. There is another point that keeps on being left out of news coverage. Most gunmen recognize that they can kill more people if they attack places where victims can’t defend themselves, and this is one reason why 98 percent of the successful mass public shootings since 1950 have occurred in places where citizens are banned from having guns. But the media consistently fails to note when mass public shootings occur in gun-free zones. One can only imagine how different the current gun control debate would be if once in a while the media would note that we have had yet another mass public shooting in a gun-free zone. These killers fear that a good guy with a gun may shoot them from any direction. Let's make their fears come true.